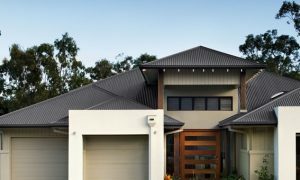 For over 50 years colorbond roofing has protecting Australian homes and businesses with metal roofing in a range of designer colours. Made in Australia by BlueScope Steel colorbond roofing is made to Australian standards AS1397 & AS/NZS 2728 and comes with a 20 year manufacturer’s warranty backed by one of the world’s biggest and most trusted steel companies. Here at Sydney Gutter & Roof Restoration Sydney we have completed thousands of colorbond roofing projects during our 22+ years in the roofing business. Our tradesmen are the best in the business. The testimonials from some of our clients reflect the quality of our work and our commitment to customer service and satisfaction. The first step to getting a colorbond roof for your home is to call us on 1300 654 884 or contact us online via the form below to arrange a free roof inspection and quote. One of our highly qualified roofing professionals will arrange to visit your home at a date and time that suits you. He will be able to answer all your questions and show you the entire colorbond roofing profile and colour range. He will also carry out a roof inspection and measure so that we can provide an accurate quote for your new roofing project.